Property manager as often the only people who have access to the landlords property for routine inspections and knowing the signs of a clandestine lab can be extremely important not only for your safety but for the landlords financial safety. Over 60% of meth labs found in homes in Australia are discovered in rental properties. Did you know without a method of detection, you could be exposing the next family to toxic chemicals and leaving your landlord tens of thousands of dollars out of pocket for clean up cost and expensive lab testing. Worst of all for the landlord they don’t have any evidence to blame the tenant once another tenant has moved in. 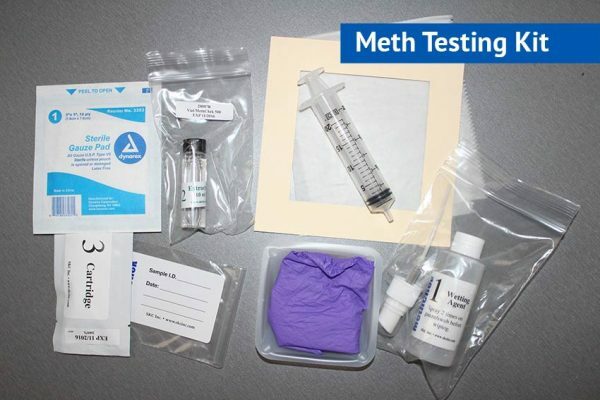 Now there is a way to test for meth in all rental properties and get a result in 5 minuets – Positive or Negative. We know the signs to look for when performing inspections that could help catch the perps before they vacate. Visit our FAQ page or use one of the links below. Meth labs are a massive problem in Australia and it’s your responsibility as a property manager to ensure all your properties are fit for habitation before you lease them out.